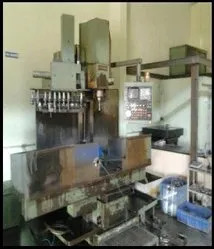 We "Shree Gajanan Engineers", established in "2005", are able to supplier, service provider, manufacture and trader of Special Purpose Machines and Mechanical Assemblies, Special Purpose Hydraulic Presses, Leak Testing Machines for Ball Valves, Heavy Duty Hydraulic Presses, CNC Fixtures, Machine Spares, Hydraulic Power Packs, Hydro-Pneumatic Machine Vices and Paper Conversion Machines. Our trusted vendors are always involved in supplying premium quality raw material for the manufacture of these products. Hence our entire product range exhibits high tenacity, robust construction, long service life and low maintenance. Our products can easily be customized as per the requirements and specifications of the clients as we have special team who interact constantly with them to incorporate their suggestions and demands. Our team of qualified and trained professionals strive hard to achieve the various goals and targets of the organization in the specified time frame. We have a special team of quality testers who are constantly dedicated to check the finished products in accordance to the international standards. We follow ethical and legal business policies and transparent transactions, which has gained us the trust of our esteemed clients. Under the able guidance of our mentor and CEO, “Mr. Anil Sutar” we have achieved a reputed position in the industry. His experience and business acumen has given us the required push to carve out a goodwill among our clients. Manufacturing, Trading, Importer and Exporter of SPM and Machine Retrofitting and Relocation Services. We are well equipped with capacious factory area of 3550 sq. feet where in we have all the facilities needed for qualitative production. Though in the coarse of achieving timeliness, we never make compromises in the quality aspect. 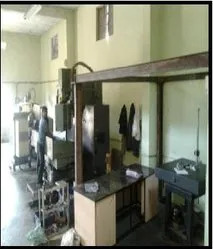 At our unit, we have advanced technologies, state-of-the-art-machinery which enables us in accurate and fast production. Our major stress lies in the quality aspect of the product. We consistently work in maintaining highest quality standard amongst in our products. At our quality inspection unit, we have got all measuring facilities required for the production. All the raw materials that are procured are even chemically, ultrasonically & tensile tested in recognized laboratories. We have a standard room for the inspection purpose having a GMT make 1 mtr. X 1 mtr. granite plate. Further. Shree Gajanan Engineers is a ISO 9001-2008 Certified company. We took care of our clients as well as our employees as per the ISO standards. 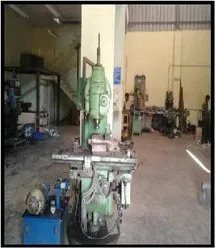 Our concern was founded by Mr. Anil Sutar & Mr. Rajkumar Sutar, who have huge engineering experience. 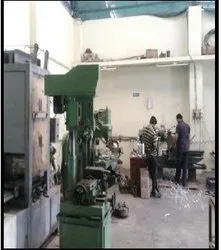 They have worked with multinational companies like Bharat Forge Limited, John Deere Equipments Private Limited, Kirloskar Pneumatics Ltd., Jay Hind Industries Ltd., Seco Tools Pvt. Ltd., Mahindra Forgings Ltd., etc. with a positive approach, they are looking forward to get the company to the peak of success. We are serving a host of clients all over the market. Our unending list of clients is a proof our quality standard which we are delivering. Their approach and likeness towards us has come as a boost for us. And thus, we quality wise manufacture much better. Concentric Pumps I. Pvt. Ltd.
As we aim to expand our business, we are making lot of efforts in the process. We are are focusing to increase the new business relations, client satisfaction and to develop more accuracy in our jobs. The base of our company lies on the support we get from our team. Our team members have the skill and aptitude which enable sin qualitative production and thereafter better marketing. They consistently work as a strong back-up support for us. Amongst our teammates, we have quality control analysts who ascertain the quality of the products and we have engineers and production engineers for better design and fabrication of the product. Our R&;D personnel perform regular study of the products, new concepts, technologies that have come into the market. And as per the studies they make, they conceive new ideas towards innovative products. Our sales and marketing representatives make the identify the demand prevailing in the market. As per the their studies, they make strategy for making the transaction, marketability and accessibility of our products more easy. Other then these professionals we have other skilled and semi-skilled workmen employed for the products. Lot of modification and improvement is done in terms of our products. During the manufacturing process, all the specifications and requirements are taken into utmost priority. These specifications are strictly implemented. Our main aim with context to customization lies in exceeding the clients demands quality wise. Other than product customization, we also assure suitable business transaction methods for client’s convenience. One such attribute is our flexible mode of payments, wherein we facilitate our new clients with payment against delivery and our regular clients with payment within 15 to 30 days.